If you have been following along on Ribbon, you know good and well how deeply charmed I am with all things Great Britain. The sophistication of British life swooned me from an early age, and my dream of visiting this splendid country came true when I was 40 years old. From its picturesque streets to magnificent cathedrals, I could visit once a year and never grow tired of England! My home garden is even inspired by a traditional English garden. When I read that a few of you were interested in reading about more European destinations, I was simply delighted. This topic is right up my alley! 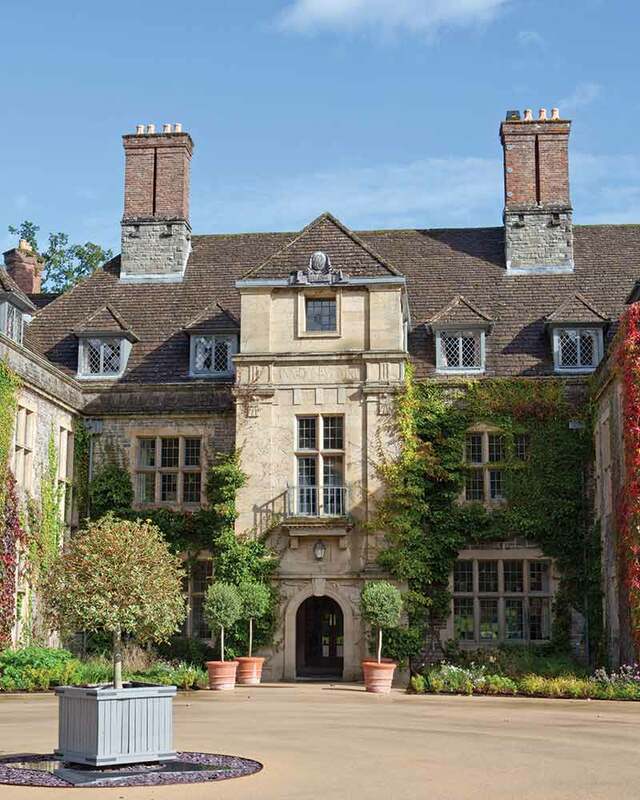 Featured in British Style, a Victoria Classics special issue, are enchanting estates and glorious gardens, as well as the Llangoed Hall, a magnificent Welsh hotel. 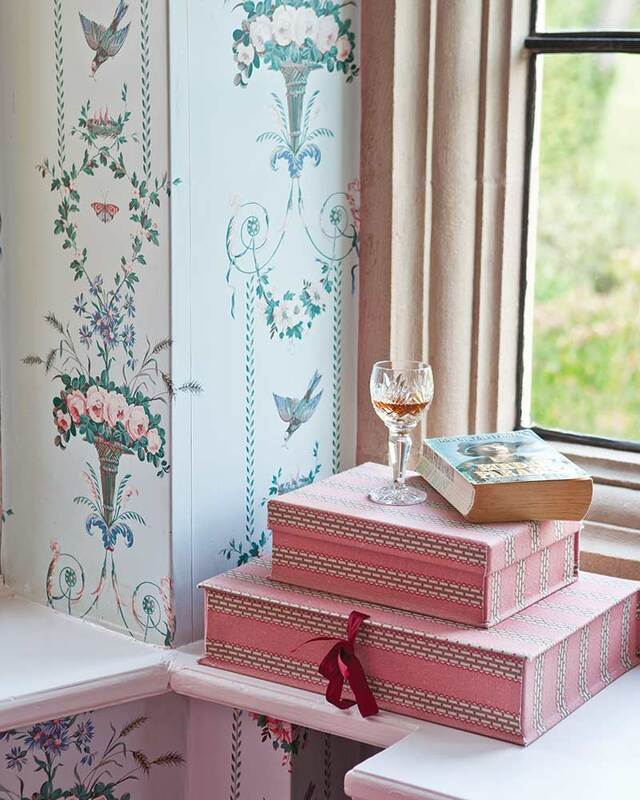 This well-appointed castle pays homage to an iconic British decorator’s refined touch. 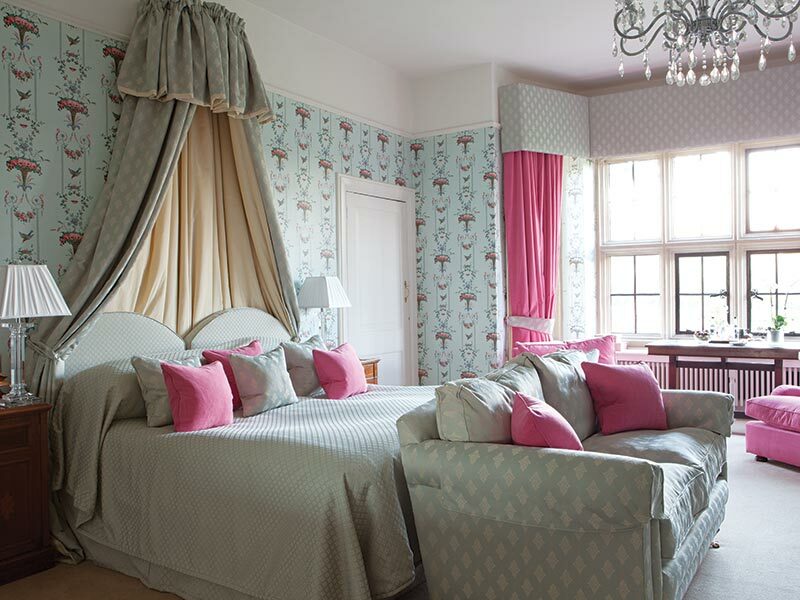 The property was purchased in 1987 by Sir Bernard Ashley as a tribute to his late wife, Laura Ashley. Laura was a legendary fabric designer who had always dreamt of transforming this once crumbling castle into a hotel. And that is just what the circa 1632 mansion came to be! 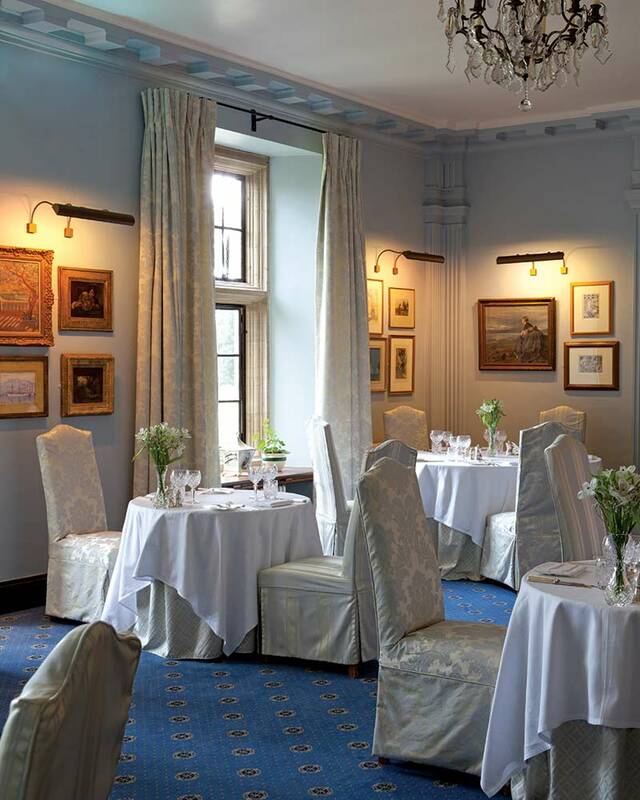 After Bernard’s death, the country-house hotel was re-launched under new management in 2013. Craftsmen from the Royal Warrant Holders Association, an elite society of laborers who serve the monarchy, completed the latest round of renovations. The former managing director of the hotel, Calum Milne, said, “If it’s good enough for the queen, then it’s good enough for my guests.” Imagine that! 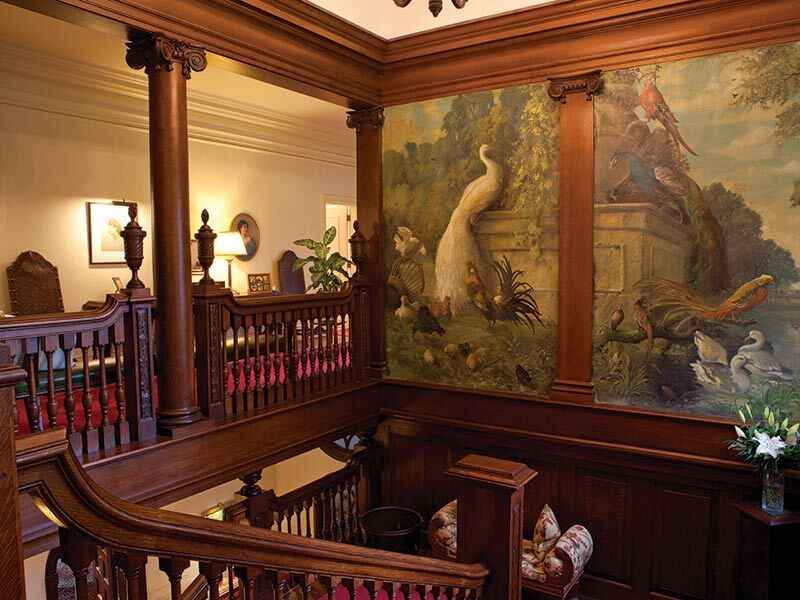 To find out more, click here to visit Llangoed Hall’s website. Have you ever been to England? If so, what was your favorite part of the trip? One of the ladies commented that there is a CD of your piano playing. Would love to obtain one, but have no idea of its title or if you would allow it to be sold through one of your sites. Being as I am having somewhat complicated surgery on my eyes, it would be lovely to be able to listen to your music during my recovery time..
GReat Britain is a fabulous place to visit. some of my favorites were in the Lake District, the countryside and the small hamlets. Lots of history along with the bucolic scenery, complete with cows and sheep ! I will look forward to the special issue! To visit Wales is 2nd on my list of places to visit in Europe. Ireland is #1; land of my grandparents (all) and All the generations preceding. I thoroughly enjoyed the article on the Irish Lace shop! Have read it 3 times! Thank you so much for the article. I have my Nana’s Irish Lace tablecloth. 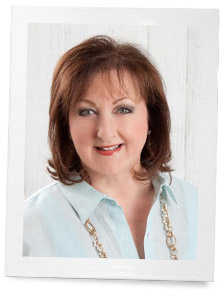 She brought it with her as a teen-ager when she left Donegal. My maiden name was Shannon- Eileen Shannon. I have friends in Wales (Cardiff) . I hope to visit them and will certainly go to this castle. I loved Laura Ashley. Was able to buy some of her clothes, stationary and home goods. Maybe you could do an article on Laura? I just love, love, my Victoria and The Ribbon In My Journal! Thank you so much Phyllis. Are you going to make another CD of your piano playing anytime soon? My other one wore out a loooong time ago. I love visiting England, Ireland, Scotland and Wales, but none more than when travelling in the countryside. It is so idyllic. I found the Lake District in England, to be one of the most lovely areas. And, so many shops carry the Laura Ashley merchandise, and many hotels are decorated in her style. Beautiful hotel – thank you for this article and wonderful photos! My husband and I love Great Britain! One of our highlights is having afternoon tea at Fortnum and Mason’s in the Jubilee Room. Amazing turquoise and gold decor and tableware along with delicious tea, sweets and savories. And their whole department store is gorgeous as well. Driving, just following our noses, through all England including Ireland. We stayed each night at a different B&B loving the decor and hospitality of all plus the wonderful cows and sheep! Our fabulous trip ended in, after four weeks of meandering, Wimbledon watching The Championshps! Many many favorite places like Land’s End & Victoria Station but Henley is a stand out for me! Since I, too, am an Anglophile, I’ve always enjoyed and delighted in your features on English style in Victoria magazine. 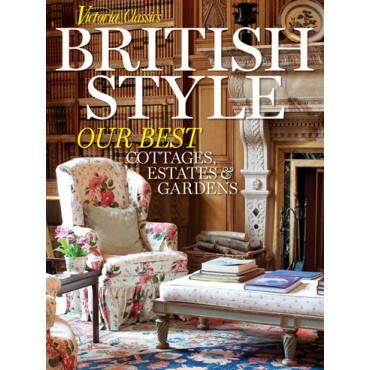 Will this issue of British Style in the Victoria Classics series be part of my regular subscription mailings? I do hope so! 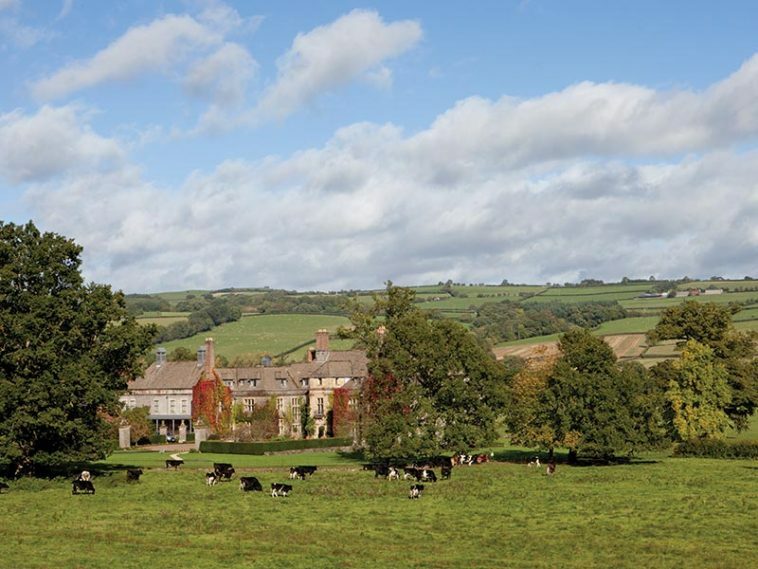 I have never been to England or Wales, and I don’t know if I’ll ever be able to travel there — but I loved taking a look at these beautiful photos of this gorgeous hotel. Thank you, Phyllis, for a most welcome “virtual tour,” which has definitely brightened this gray, chilly New England day for me! Walking where kings and queens walked centuries ago. It was unbelieveably beautiful. We heard the boys choir rehearsing at Westminister Abbey and I cried it was so beautiful. My husband had to drag me away. Shopping at Herroids!!! The food court surpassed anything New York or anywhere else had. I did dislike one thing, the blood pudding. London tower and the queens jewels was impressive. Can’t imagine being imprisioned in a cold damp cell there like Sir Walter Raleigh. As always thank you for this post. I have not yet been to England but would love to visit one day. I love watching shows on PBS that take place in these small towns and hamlets, especially “Hidden Villages”,a show hosted by Penelope Keith. My husband was able to find some of the Batsford guide books she uses as she visits these small gems throughout England, Scotland and Wales. These books are fantastic ,as is the show. Love England! So strange but the first time I went in 1990,a dream come true,felt completely at home. Every thing about it! 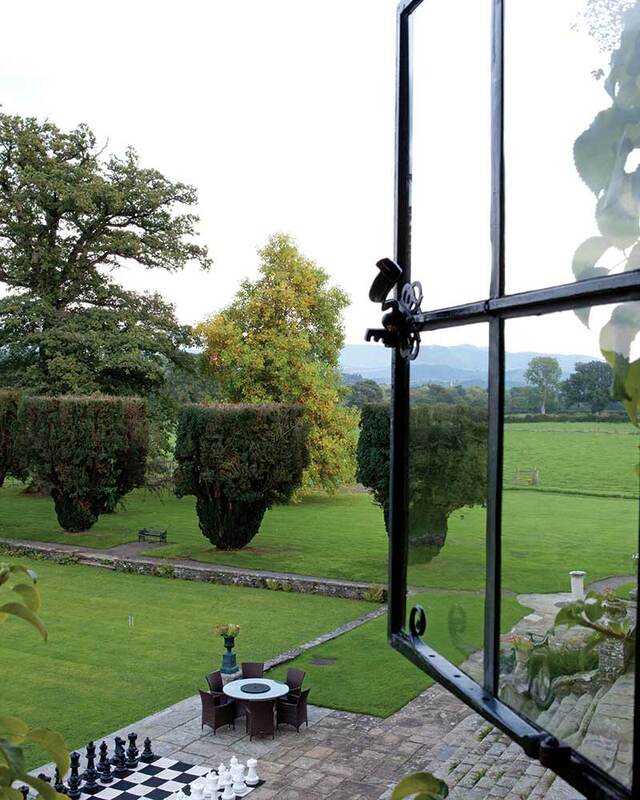 Thank you for sharing this gorgeous Welsh hotel! I have been to England on three occasion and Wales once. I love everything! I visited England last May for the first time with my son and his family. We rented a beautiful little thatched cottage in Somerset and visited many of the villages in the area. I loved everything, the churches and cathedrals, the high streets and shops, the buildings and gardens, the food and the pubs. I could go on and on. The people were the best part. Everyone was so friendly! I can’t wait to go back! My husband and I were able to travel to London for a week long business trip in 1987, as his boss could not go and my husband was offered to go instead. Needless to say, a surprise trip of a lifetime! I, too, love all things English. I plan to spend some of my childrens’ inheritance by taking the entire family for a week+ in the Lake District and London. We can only travel in the “high” season this coming summer because of schooling dictates, but every pound sterling will be worth it! My sister and I visited the Cotswolds. We loved it and felt as if we’d stepped back in time. Each village was as charming as the next and most have lovely tea rooms. Life seemed to move at a very welcome and slower pace.